Jaco is the closest beach town from San Jose since the new Highway 27 opened in 2009 cutting the driving time in half to about 1.5 hours. Only 10,000 permanent residents live in Jaco but the town is fueled by tourism. The surf is best for beginners in the South end of the beach where it is also safe to swim during low tide and even high tide with caution. The waves in the central part of the beach to the North End are more advanced and it is not recommended for children to swim. 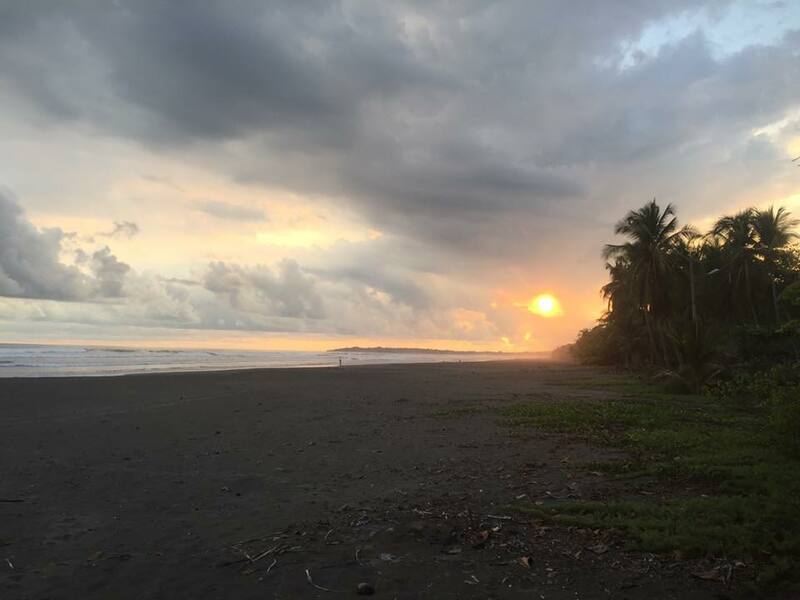 Playa Hermosa is located only 10 minutes to the south which is well known for pro surfing, you can catch a local surf tournament every Saturday evening located at the Back Yard Bar. The town has numerous tours available for people that don’t wish to be too active such as Crocodile tour, Neo Fauna and an Ariel Tram. Many adventure tours are offered such as waterfall tours, rappelling, canopy, ATV, surfing and more. The dry season in Jaco is from November to April which is also the busy or tourist season and the temperatures will rise up to 95 degrees Fahrenheit. The rainy season is from April to mid-November but temperatures still hover around 85-90 degrees and it’s an endless summer in Jaco. September is the rainiest month with nearly 300 mm of rain. You can find a variety of restaurants that offer mid-range to fine dining but come at a tourist price. Accommodations are bountiful, you can find luxury houses, hotels, condos and hostels. The town is well known for its beautiful local women and as a result has become a hot spot for guys looking to get wild and crazy for a Costa Rica Bachelor Party. On the weekends the bars fill up with locals making their way to the beach looking to party then relax on the beach the next day. Getting around town is easy, a taxi ride across town will cost about $3-$5 but everything is within walking or biking distance. It is only about 4 kilometres to walk from the North end of the beach to the very south end. The town and beach are safe despite what you may have heard. The fishing in the area is world renowned and you can enter many professional tournaments out of Los Suenos. The fish species caught are Wahoo, Sailfish, Marlin, Dorado, Yellow Fin Tuna, Roosterfish or Snapper. A professional 18 hole par 72 golf course located in Los Suenos will challenge even the professionals. If you don’t speak Spanish then it’s OK because most people understand and speak English in Jaco, at least in the tourism sector. Be sure to take a hike up Miro Mountain located across from the gas station on Highway towards the south end of town, an abandoned hotel/restaurant will take your breath away.